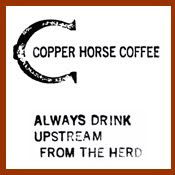 There is nothing like coffee arriving at your door, especially when the coffee made a trans-Atlantic voyage. 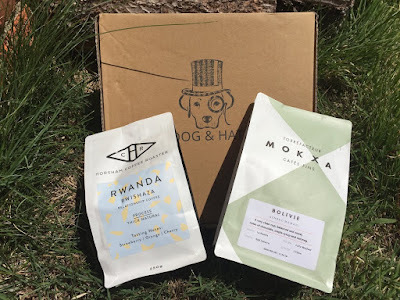 Recently I had the opportunity to try out Dog and Hat Coffee, a coffee subscription operation catering mainly to folks in the UK and Europe. 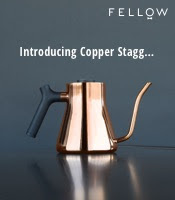 Not only do they deliver fresh, whole bean coffee from a variety of excellent European roasters each month to their members, but they also offer occasional goodies and special deals from time to time. Arriving on my doorstep was two bags of coffee, each one I sampled via pourover, french press and siphon infusions. First up was a Horsham Coffee Roasters direct trade coffee from Rwanda's Bwishaza cooperative and washing station near Lake Kivu in western Rwanda. The coffee proved to be deep and sweet, with potent notes of fig, apple, molasses and honey with more savory notes of rye, bran and dandelion greens blended throughout. No particular infusion method stood out from the others, with the beans proving consistent and toothsome all around. The second coffee came from France's Cafe Mokxa. Hailing from the La Asunta region of Bolivia, this coffee from the Genaro Mamani Accidental Society Co-op comes from a 2017 Bolivia Cup of Excellence lot. Of the three infusions, this coffee really made an excellent french press, with notes of honey, fresh danish, pear, elderberry, cream and dates, imparting a deep and slightly acidic bouquet of lovely flavors. The other infusions were also delicious, with a touch of pretzel dough and butter coming through (though not so much as to mask or dwindle the other flavors). All around, these two coffees won my admiration and would definitely satisfy a plethora of palates. Thus, if you seek a European coffee subscription with interesting coffees from multiple roasters, give Dog and Hat Coffee a try this month. Haha, that dog looks cute. I gotta order one for myself, as I'm based in Europe.